Honda is the world's largest manufacturer of internal combustion engines, producing more than 14 million each year. Honda became the second-largest Japanese automobile manufacturer, second to only Toyota in 2001. Honda became the fourth largest automobile manufacturer in the United States in 2008. Honda is the sixth largest automobile manufacturer worldwide. Honda's current models include the S2000, Fit, Civic, Accord, Odyssey, CRV, Ridgeline and Insight. Honda enjoys incredible brand loyalty, and many Honda owners have owned Honda automobiles in the past. The Honda Civic model is one of the longest-running lines of vehicles from a Japanese automaker. The Civic, Accord and Prelude comprised Honda's vehicles sold in North America until the 1990s, when the model lineup was expanded. The Civic has been upgraded in size and function over the years, and is considered by many to be one of the best auto purchase values on the market today. 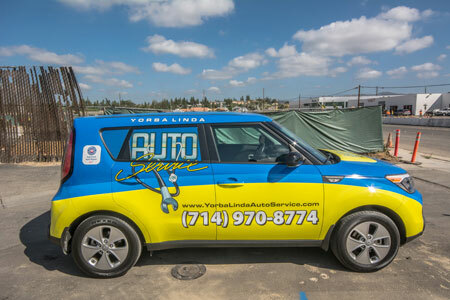 For expert Honda Repair in the Yorba Linda area ,request an appointment with Yorba Linda Auto today.